You’re spot-on about the flavor. It’s good, but it could stand to be a bit stronger. 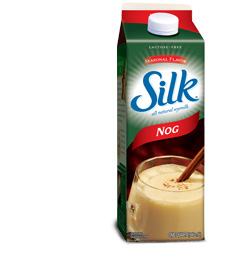 I almost think it might be sufficient to garnish the nog with a dash of nutmeg each time you pour a glass.